Buy: Chapters | IndieBound | Check your local bookstore! 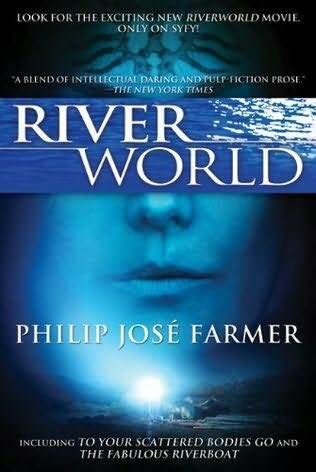 I picked up the first book in the Riverworld series fully aware that it is classified as 'scifi.' The premise intrigued me too much to pass it by. Everyone who ever lived is resurrected in a world consisting mainly of a river, edged by meadows, edged by impassable mountains. Everyone (well, everyone not including children who died before they turned five...). This means the reader encounters quite a cast of characters. The characters were what I liked best about this novel. I felt like a lot of the theories held by the characters developed rather abruptly...suddenly they were referring to ideas with no explanation as to where those ideas came from. This made the various theories feel 'fake', like the author just handed them over to the characters and said 'This is how it is.' I would have liked to see the development of their theories. While I doubt I'll ever finish the rest of the series (it's still essentially a scifi series that's too long to hold my attention...), this first book was intriguing and a good read for me to try something different.